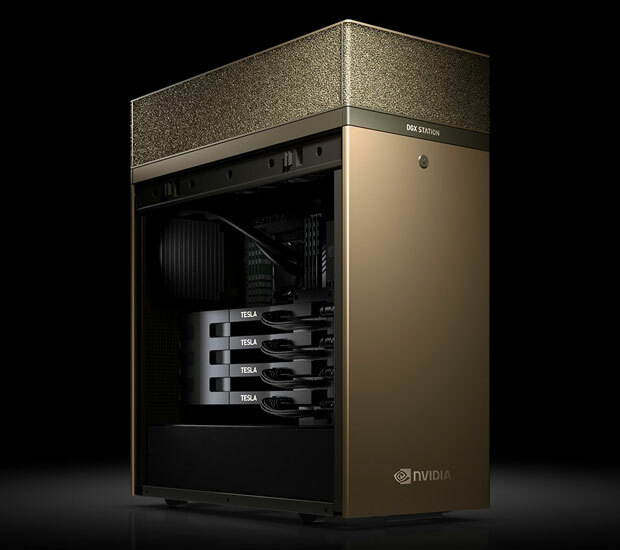 Nvidia earlier this month launched a massive new push for intelligent machines, including what is likely the most expensive volume workstation in the world designed for this purpose. IBM, which has a tight relationship with Nvidia, launched a quantum computing processor that has a good chance of massively increasing the speed and intelligence of thinking systems. IBM also has been the most aggressive in promoting the concept that systems such as these could have a dramatic effect on the performance of people who use them. I think that after last week, regardless of your personal political preferences, you likely wish a lot of folks in Washington were wired to these machines, because it feels like the country is being run by partisan idiots at the moment. A deep learning system could have reversed the election results. It’s too late for that, but it still could turn Trump from a train wreck into the best president the country has ever had. Furthermore, it actually could provide a healthcare system that is both comprehensive AND affordable. I’ll explain and then close with my product of the week: the workstation that has the potential to make you superhuman — and it only costs US$70K! One of the things you learn by going through one of the very few formal CEO training programs that exist in the world is the importance of causality — in other words, the understanding that you can’t do or fix anything successfully unless you understand deeply the mechanism that will, or did, create it. Many of the foundational skills for effective leadership aren’t taught — they are built through experience. The problem with experience is that we have a tendency to remember selectively the things that had the greatest beneficial impact and that support a view that we don’t make mistakes. Also, most of us tend to learn from our own experiences but not from the experiences of others. At the heart of the Trump train wreck is the president’s resistance to accepting his own mistakes or to learning from those of others. Things started out badly, and they now seem to be getting worse and spinning out of control. This is the kind of thing a deep learning system could fix. It not only learns from its own mistakes, but also aggregates the history that has been fed into it and learns from the mistakes and conclusions of its peer machines. Implemented properly, it would showcase in real time, and in gruesome detail, the outcome of any Trump decision. Simply placing it between the president and Twitter would massively change the character of President Trump’s tweets. In fact, given the president’s unwillingness to read, study or admit mistakes, he might be the poster child for the type of person who would benefit most from this kind of a system. A deep learning AI system is designed to do best what the president doesn’t seem to want to do at all. Hillary Clinton’s campaign was a different kind of train wreck. Early on, I pointed out that I thought she would lose because Bill Clinton would be more successful at causing her to lose than Trump would be at figuring out how to lose without looking like he was doing it intentionally. A few weeks back, the now ex-head of the FBI testified that Bill Clinton was indeed the trigger for his late reporting about Clinton’s emails, which perhaps played a major part in her loss. What should have been obvious was that despite Bill’s verbal support, Hillary’s win would have been a massive unacceptable loss for him. Being very status-oriented, he couldn’t accept going from being remembered as the 42nd President to being remembered as the first guy in a woman’s job — the first male First Lady. There was no way he could bring that up without sounding like a jerk, but someone in the campaign should have flagged it, and the fix would have been easy. Either rename and reposition the role as far more powerful — something that would have benefited every presidential spouse that followed him — or do what Trump effectively has done: Get someone else to fill it. Bill could have been given the title of “president emeritus” or something equally impressive-sounding. Trained deep learning systems can see patterns we might miss — and in this case, the pattern that should have emerged was that people don’t like to take title demotions. Those who are heavily driven by status stand out in this group. How often are people demoted successfully, even if they change companies, and how often does that not work out? The answers are rarely and very. Using a deep learning system to analyze a strategy likely would have pointed out that one of Hillary Clinton’s biggest assets, Bill, was going to become a liability. It could have helped her make a number of problematic decisions, like resource utilization, more effectively. It also might have flagged that a strategy of disparaging Trump’s voters would motivate them to vote while doing nothing to get her own people to the polls, because that’s what typically happens. The big problem with both the Obama and Trump efforts is that they were founded on several lies that way too many people believe. The three critical lies are these: 1. that you can make something that is unaffordable affordable by getting the government to pay for it; 2. that you can add a very expensive new government service without raising taxes; and 3. that insurance can cover pre-existing conditions. The first is a lie because government oversight adds cost — it doesn’t remove it. Alone, it is simply another expensive layer of management, and the additional costs still get passed on to you. The second is Economics 101. The money to pay for something has to come from someplace. Obamacare was creative, but because it required people who didn’t need insurance to buy it, insurance premiums became a tax that wasn’t called a tax. I could call a duck a dog and it would still be a duck. Third, it is clear that most folks don’t understand how insurance works. It isn’t a service — it is gambling. Much like going to Vegas, collectively we lose. What happens is that you bet the insurance company you will get sick, while they bet you won’t. The fee reflects the odds plus overhead and profit. It works, because the collective fees cover the costs when the insurance company loses. However, with pre-existing conditions, this would be like having a slot machine that always paid out. That isn’t gambling anymore — it is like betting on a horse after the horse race is over. To buy the winning ticket, you’d likely have to pay the face value plus any overhead for handling the transaction. Now, it isn’t uncommon for someone who doesn’t have insurance try to buy it after they have a loss that the insurance might have covered. Say you would have paid $5K for house fire insurance, but you didn’t get it. Then you have a fire with a $200K loss. Of course, it NOW looks good to pay $5K to get $200K back — but from the insurance company’s perspective, that would be going-out-of-business stupid. What a deep learning system would do is not only flag that pretty much everyone is misleading you on this topic, but also provide you with examples of where healthcare is working best and recommend that path. It likely would be a single-payer system where healthcare isn’t handled through insurance but as a government service — and better managed than most DMV offices now are. My best guess right now is that a machine would pick Luxemburg as the example (Australia is ranked 8th). One of the shortcomings of humans is that we are very selective about what we choose to retain. The most powerful of us often are more driven to appear right than actually to be right, leading to hosts of avoidable mistakes. Even though we have more information at our fingertips than ever before, we have an aversion to using it — choosing to learn by our mistakes rather than taking the effort to avoid them. This is the exact opposite of deep learning systems, and it is why they already are better at driving cars — and, on paper, better at flying planes. They lack the creativity and the out-of-the-box thinking that define the best of us, but they can avoid the kinds of mistakes that trip up the best of us. In short, applied properly, a deep learning system could turn any one of us into a “huuuuuge” success. Let’s hope this happens before a big-enough avoidable mistake turns us into fossils. The kind of cloud service that would provide the capability I’ve described above likely will come with a relatively affordable monthly cost eventually, but we are at least five and more likely 10 years away from that. If you wanted to create a secure personalized service for someone like Donald Trump or Hillary Clinton, then you’d likely start with a very unique workstation focused on deep learning and dedicated to them. Until this month, such a thing wasn’t available — but that changed with the launch of the Nvidia DGX Station. It isn’t a cheap date at nearly $70K — yes, that is seventy thousand dollars — and you’d still need to develop the related AI and train it. However, once trained, this little puppy could be your “don’t get into jail in the first-place” card. What would you pay to become superhuman? For now, this is mostly used for those who want to develop a deep learning system, and prices certainly will come down as more mainstream hardware vendors move to this opportunity. However, a person who, say, was a billionaire, and who could afford to make something like this work — oh, and who didn’t want to be impeached — might be willing to fund the first one. Just saying. In any case, although it likely is the most expensive mainstream workstation in the world, it likely is worth the price, and so the Nvidia DGX Station is my product of the week. PREVIOUS POST Previous post: What Are Probiotics?